The first screws go back to the Ancient Greeks (or Ancient Romans, depending on where you look for information.) 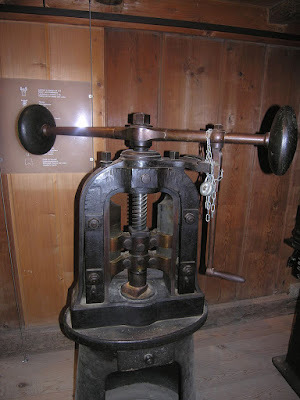 Both Ancient Civilizations would press olives and grapes to make olive oil and wine (still loved today by both the Greeks, Italians and many others) and they used screw presses, a type of machine press in which the ram is driven up and down by a screw...like this. From Wikipedia's Screw Press Page: the screw shaft can be driven by a handle or a wheel. It works by using a coarse screw to convert the rotation of the handle or drive-wheel into a small downward movement of greater force. Basically the screw press creates a strong force to be exerted on an object with minimal effort from rotating the handle or wheel - the screw makes it possible. Thanks to the deliciousness of olive oil and wine, the screw was invented - so thanks grapes & olives! 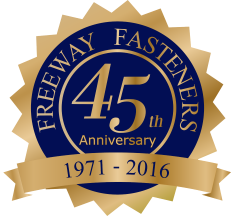 Fasteners are an integral part of infrastructure - our buildings, our objects, our cars. 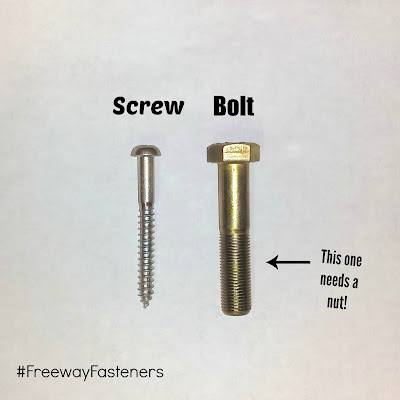 We can find fasteners in just about everything. 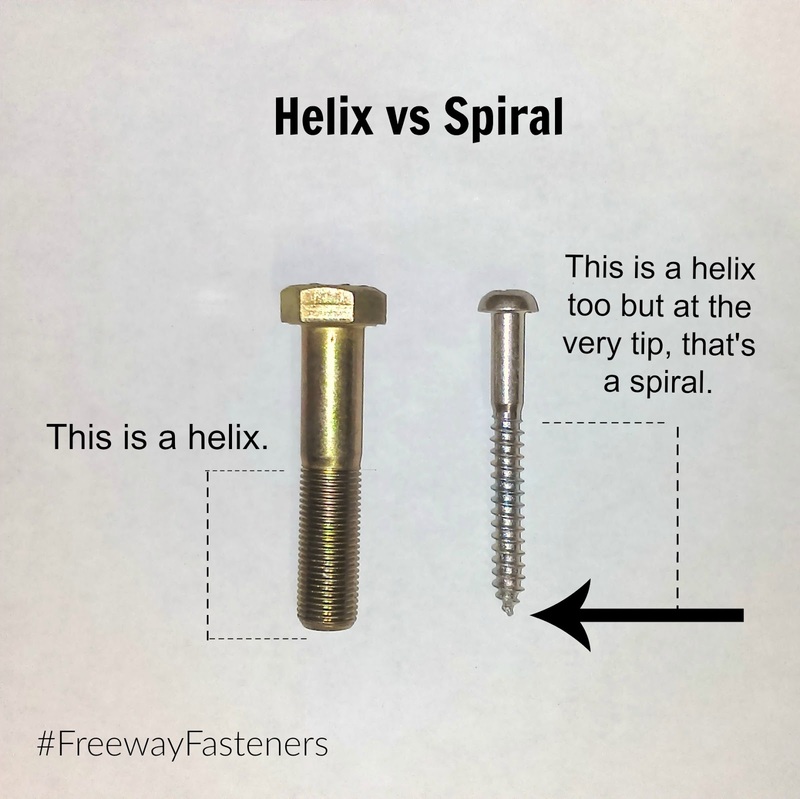 All the things that facilitate our productivity, our happiness, our safety, all being held together with these sometimes little and sometimes large things that clamp parts together called fasteners. 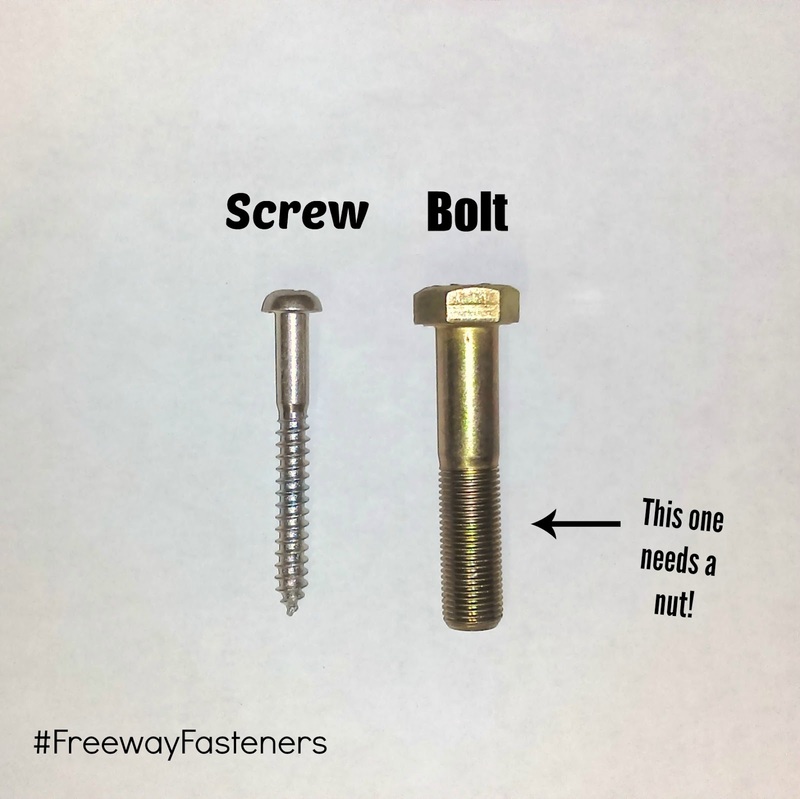 The difference between a 'bolt' & a 'screw': bolt refers to a male fastener that requires a nut to function, whereas screw refers to a male fastener that is mated into a matching female thread in a work piece. The bolt and nut assembly requires two tools to tighten or loosen, whereas a screw only requires one as the part with the female threaded hole is typically stationary.